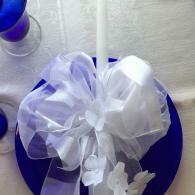 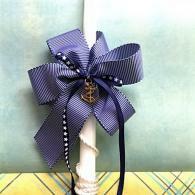 The Lambada or Beautiful Greek Wedding Candle comes in 24 or 32 inches. 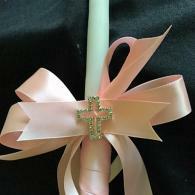 The 24 inch candle is very popular in ivory. 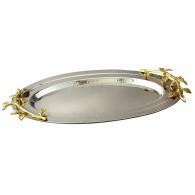 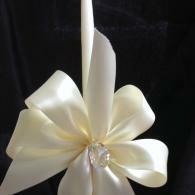 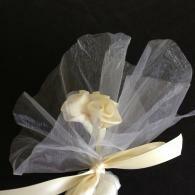 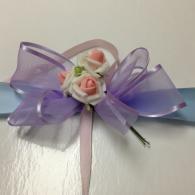 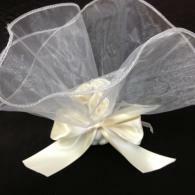 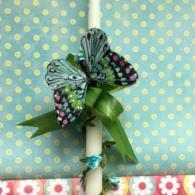 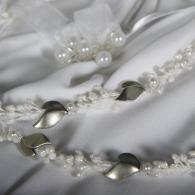 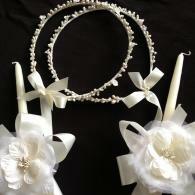 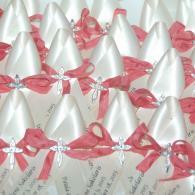 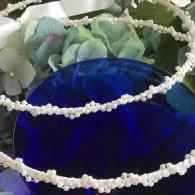 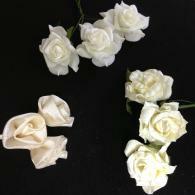 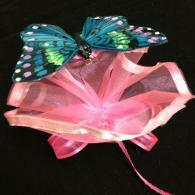 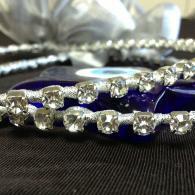 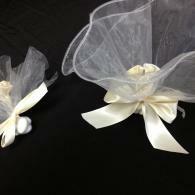 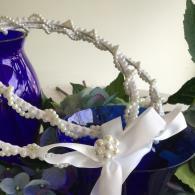 They are decorated and adorned to match the bride's stefana or wedding crowns and dress. 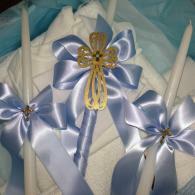 Hand designed and made by twogreekwomen. 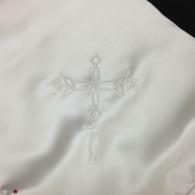 Let us know what you have in mind. 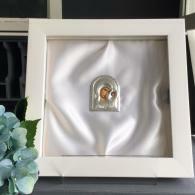 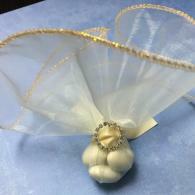 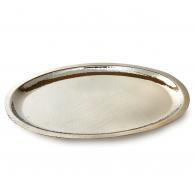 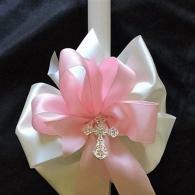 Orthodox Baptism Christening Accessories. 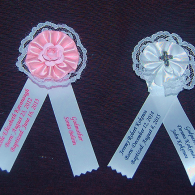 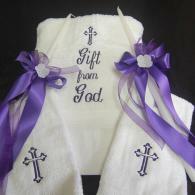 Everything you need Church to Reception include the finest quality personalization, embroidery and ribbons. 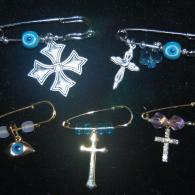 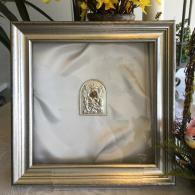 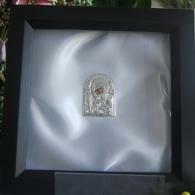 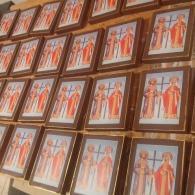 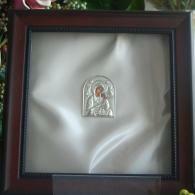 Matyrika are small lapel pins worn by guests to show they have witnessed the greek orthodox baptismal ceremony. 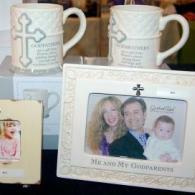 They traditional have the baby's name, birthdate, baptismal date and name of the Godparents custom printed. 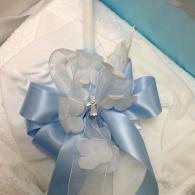 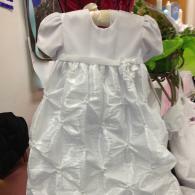 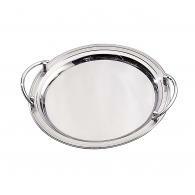 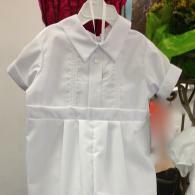 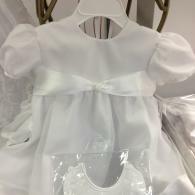 Baptism or Wedding your child will be beautifully dressed. 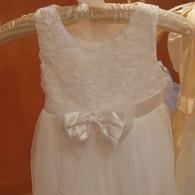 Contact twogreekwomen and let us help you find the most appropriate outfit for your budget. 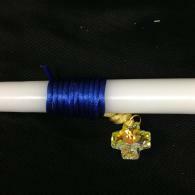 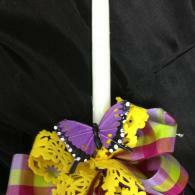 Wonderful Easter Candles for children to bring to the Pascha service. 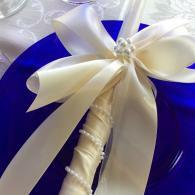 We can ship up to April 10, 2017. 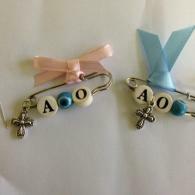 $20 each plus special shipping and handling $12.95. 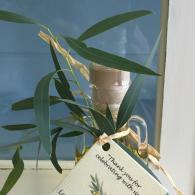 Here is how we do our work!